Gallery 5 is offering a stunning exhibit of talent while also providing a social commentary in its upcoming First Friday exhibit, “Gold for a Silver Situation.” As described by former New Yorker and Vanity Fair editor, Tina Brown, “women have always had to be gold for a silver situation.” Reaching new, unthinkable limits to be commissioned is the norm for female artists. In “Gold for a Silver Situation,” curator and participating artist Katie McBride wishes to provide 12 examples of local female artists whose work transcends any gender separation. McBride sites many of these barriers rooted in societal expectations of the professional realm. One example she explained was the rigid deadlines many freelance artists experience, which often goes to men since women are seen as incapable of reaching these deadlines. Additionally, the concern of hiring a woman with a family automatically siphons employers to hire male freelancers. It is safe to say that if anyone is asked to recall the names of five famous painters, a majority of those names would be male. McBride emphasized that the awards realm of the art profession are also male-dominated. “It’s the same cook and chef mentality. When you see the Caldecott [Award], the preponderance of children’s book creators are women. The preponderance of Caldecott winners and book winners are men within the field,” she said. McBride’s work is recognizable from the 2016 Richmond Folk Festival poster. Most of her other work features anthropomorphic themes, as well as detailed maps and whimsical and detailed illustrations. Her posters, maps, and illustrations exemplify McBride’s variety in color, detail, hue, and themes, all bound together by her love for storytelling, animals and nature, and more. The work of Victoria Borges harkens the like of the covers of The New Yorker, soft hues and lines, mixing the airy with the real. Her commentary on social trends, the media, relationships, money, and culture all play into her art beautifully. The softness of her pieces mix well with her colors and balance. 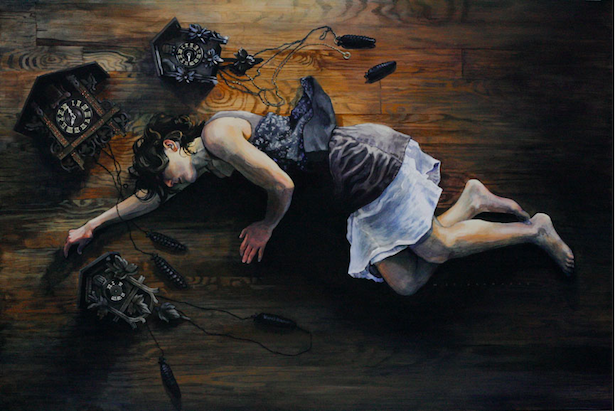 The most striking feature of Mary Chiaramonte’s work is the realism. Rather than leaning towards one end of the spectrum, her use of the dichotomy between light and dark translate magnificently in her paintings. The amount of detail in her portraits and nature scenes are evident. Illustrator Clara Cline stands apart from her fellow artists with her design of paper goods, gift wrap, prints, and scout badges. More specifically, her attention to detail provides stunning star charts, field guide manuals, and more. 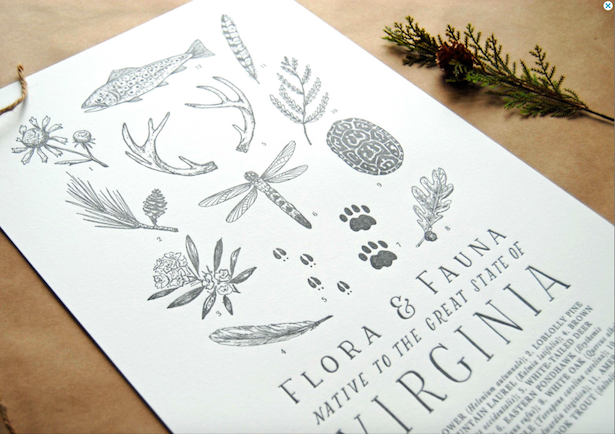 Her mixture of rustic vibes with the elegance of natural beauty equate to aesthetically-pleasing prints and paper. Kamille Jackson finely points out the details in her typographically-inspired pieces. 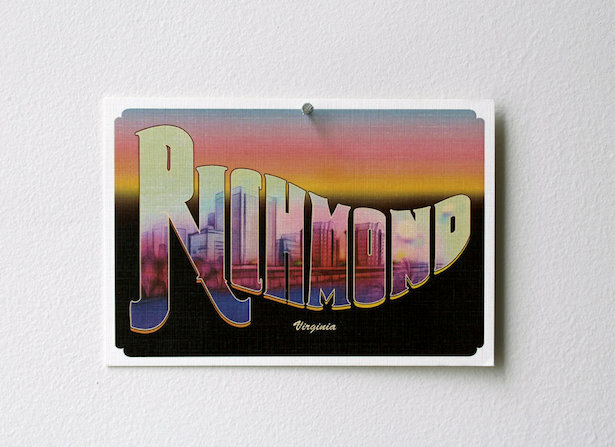 From her black-and-white drawings to her Richmond-inspired postcards, Jackson perfectly ties together type with the culture surrounding her. Even within the lettering and type itself, lines and colors bring out the depth of her work. The show also includes the art of Cathryn Virginia, Holly Camp, Melissa Duffy, Ally Hodges, Brooke Inman, Meena Khalili, and Amelia Blair Langford. You may remember Langford from our interview with her in 2016 about her detailed artwork and Virginia wildlife mural, which won the RVA Street Art Festival Contest that year. “Gold for a Silver Situation” will be available for the January First Friday, which is Jan. 5, starting at 7 pm. More information can be found here. On display currently at Crossroads Arts Center, The Forest Project Exhibition is lead collaborator Dawn Flores long-standing conservation project designed to memorialize a medium-sized urban forest off Jahnke Road that was clear-cut for housing development. This exhibition is the result of hundreds of artists collaborating together going on four years. They first started working together for the common goal of commemorating an urban swath lost to development. “Represented in the Forest Project exhibition and woven throughout ‘Into the Woods’ are eight volumes of photographs, sixteen-framed photographs, sixteen quilts, five monotypes, fifty turned wood pieces, one handmade made piece of lacework, seven eco printed scarves, several salvaged wood pieces, one installation piece, one floorcloth, and one movie titled, Wild City Forest,” Flores said. 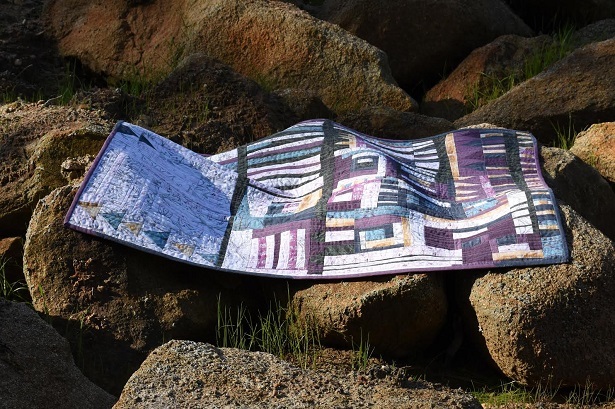 Flores first documented the harvesting of 60 acres behind her house in 2011, and spent the last three years collaborating with quiltmakers, woodturners, and other artists before the forest was destroyed. “Volunteers rescued 2,000 plants, collected millions of seeds, and salvaged parts of an 1865 farmhouse before it was demolished,” Flores said. “Salvaged plants were planted in gardens and at neighborhood schools. Poems were written by children and adults, about copperheads and bald-faced hornets. 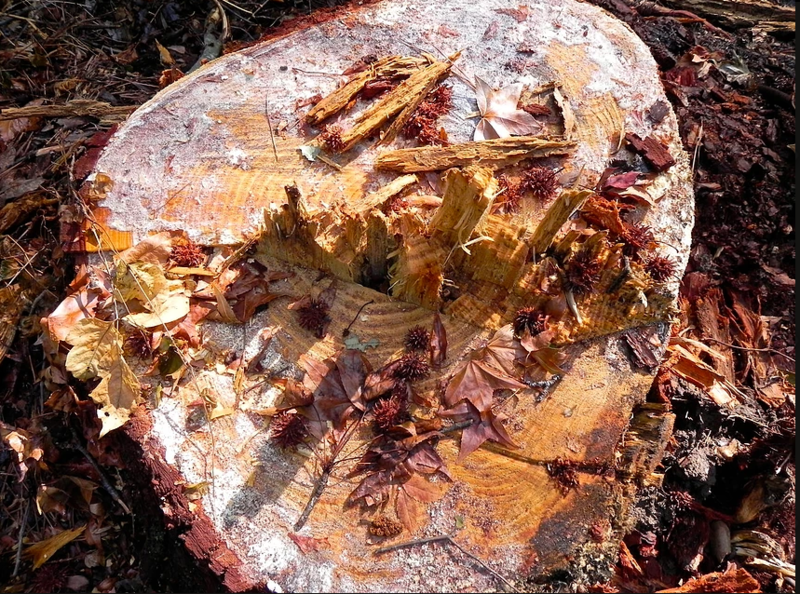 She added they also had about 15 representatives from the Richmond Woodturners come onto the property and cut down several trees who then took the trees back to the other Woodturners and crafted the trees into pieces of art and produced 50 bowls and sculptures. The Forest Project’s sister performance was Twila Jane Sikorsky and Electric Nomad Dance Studio’s “Eternal Forest,” which premiered earlier this month at Dogtown Dance Theatre. Since Sikorsky began working on her theatrical dance performance about a year and a half ago, Flores has been a key contributor. “I saw the ways that Dawn transformed artifacts from her conservation work in the forest, and knew that it was time for us to get our creative ideas rolling down the same path,” Sikorsky said. 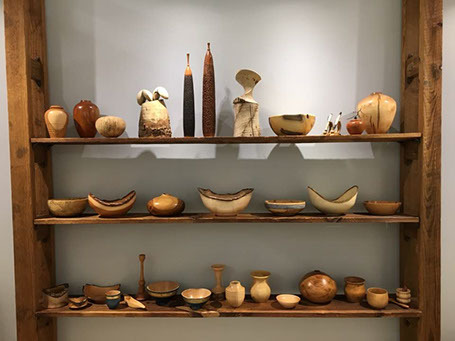 “Into the Woods” is on display until November 5 with an upcoming reception on October 15, which will feature live woodturning by the Richmond Woodturners and dancing performed by the members of “Eternal Forest.” The event will take place from noon until 4PM. 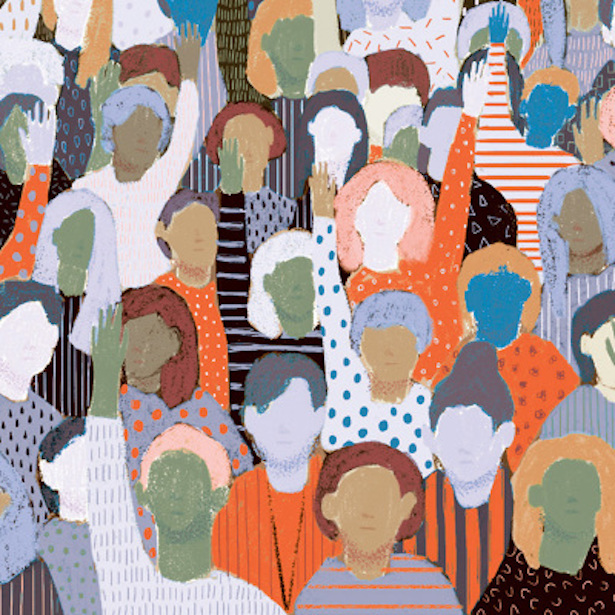 In a time of constant social and political unrest, art has been used in different mediums to express society’s grief as captured by the artist. There are many great festivals throughout the year it’s hard to decide which one to attend. The Virginia Museum of Fine Arts has recently announced the latest members of their 2014 annual fellowship grant and John Dombroski has been fortunate enough to be included this year on a professional level.